WASHINGTON, D.C. -- Former Secretary of State Hillary Clinton's favorability with U.S. adults is unchanged from last November -- remaining at a record low (36%). These results, from a Sept. 4-12 Gallup poll, confirm that Clinton's image remains in a rut nearly two years after she lost the presidential contest in 2016. Her favorable rating is down seven percentage points from where it stood on the eve of the election. Two key trends would suggest that Clinton should become more popular, not less, after the 2016 presidential election. The first is specific to Clinton. While opinions of Clinton have varied over her long time in the public limelight, she has tended to be quite popular when she is no longer seen as a purely political figure. When her husband, former President Bill Clinton, faced impeachment in 1998, for instance, Hillary Clinton's favorable rating rose to a record high of 67%. Clinton was also generally well-liked over the course of her 2009-2013 tenure as secretary of state. By contrast, Clinton's favorable rating fell when she sought the presidency in 2008 and 2016, particularly after allegations about her improper handling of classified emails were revealed in summer 2015. Clinton's 2016 loss has largely thrust her off the political stage, though she released a memoir of the campaign last year and has made periodic public appearances. As such, past evidence seems to suggest that her favorable rating should rise. Furthermore, this would be in line with a more general trend, whereby many losing presidential candidates see their popularity rise after the election. Instead, opinion about Clinton remains about as sharply divided along political lines now as it was just before the 2016 election. Virtually no Republicans see her favorably (4%), and less than a third of independents have positive feelings about Clinton. To the extent that Clinton's image has shifted with any of the major political groups, it is among Democrats. 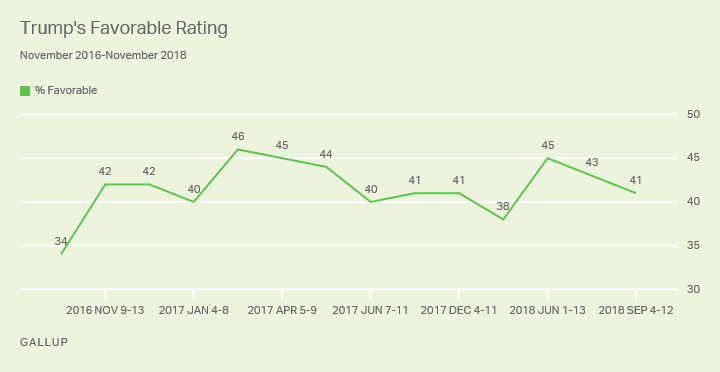 Clinton's favorable rating among Democrats fell 11 points to 76% just after the election; it has not improved significantly in the ensuing months, and currently stands at 77%. Trump's favorability, at 41% in this poll, also remains low, in line with past readings during his presidency. 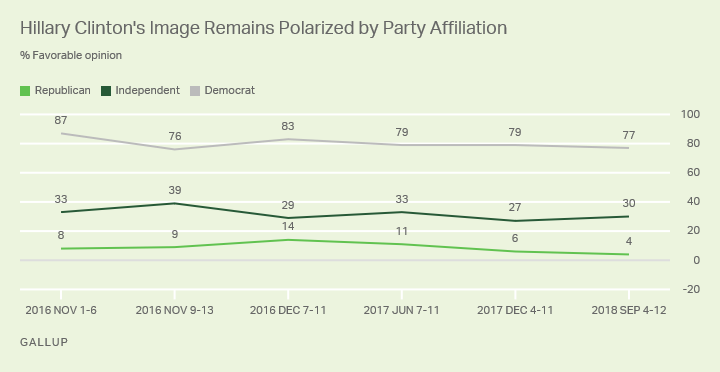 And, unlike his 2016 opponent, Trump has become somewhat more popular since the presidential election than on the eve of it, largely because of more positive opinions among his fellow Republicans after he won. Just prior to the election, when many expected Trump to lose the contest against Clinton, about seven in 10 Republicans (71%) said they had a favorable opinion of Trump. In the poll immediately after the election, Trump's favorable rating with the GOP rose to 83%; it stands at 88% now. Just as Clinton's defeat may have caused some Democrats to reconsider their views on her, the shine of victory likely encouraged some Republicans to upgrade their opinion of Trump. Whether rank-and-file members of the GOP will continue to think positively of Trump should he lead the party to big mid-term losses is another question. Hillary Clinton's favorable rating has dipped to 36%, the lowest Gallup has measured for her. Bill Clinton's favorable rating is now his lowest since 2001. 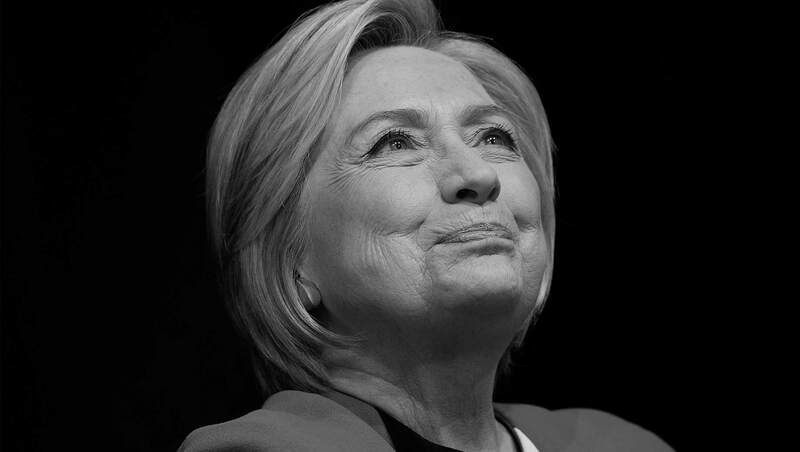 Secretary of State Hillary Clinton's favorable rating from Americans is now 66%, up from 61% in July 2010 and just one percentage point below her all-time high from December 1998. She continues to get higher ratings than Barack Obama and Joe Biden, and she scores better with women than men, 72% vs. 59%. Unlike previous candidates who lost the U.S. presidential election, Hillary Clinton's post-election favorable ratings are no better than before the election.